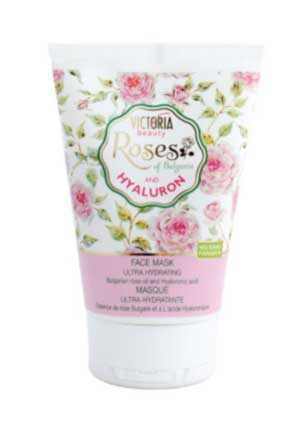 Victoria Beauty's face mask formulated with rose oil and hyaluronic acid deeply hydrates, regenerates and soothes the skin. Improves its elasticity, reduces the appearance of fine lines and boosts it with energy, giving it a healthy and glowing look. Apply the mask on the face and neck, avoiding eye area. Leave it for 10-15 minutes. Do not wash. Remove the rest of the mask with a cotton swab. Use twice a week. Do not use on irritated or sunburned skin, marks and pimples. Stop usage and consult a doctor if your skin becomes red, swollen or itchy during or after using the mask. Keep away from eyes. If contact with eyes occurs, rinse with water. For external use only. Keep away from children.